Sion and Moore is delighted to announce an exhibition of photographs and video by French-born, Welsh-based photographer Clémentine Schneidermann. I Called Her Lisa Marie + Bonus Track will present work made over a five-year period in Wales and America. Sion and Moore is delighted to announce an exhibition of photographs and video by French-born, Welsh-based photographer Clémentine Schneidermann. I Called Her Lisa Marie + Bonus Track will present work made over a five-year period in Wales and America. 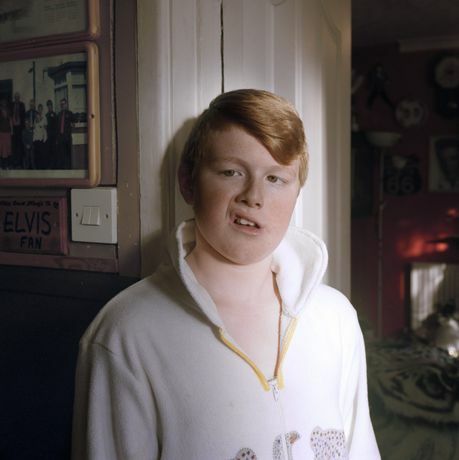 In this considered and empathetic series, Schneidermann explores the cult of Elvis as it manifests in working-class towns in South Wales, with a focus on Porthcawl, site of the annual Porthcawl Elvis Festival, the self- proclaimed largest festival of its kind anywhere in the world. She also follows a young boy called John-Paul from Wigan who, with his mother Alison and grandmother Margaret, travels to Memphis to perform as an Elvis tribute artist under the stage name ‘Johnny B. Goode’. Additional images in I Called Her Lisa Marie were made in the towns of Newport, Cwmbran, Pontypool and Abergavenny in Wales. The dramatic tension in Schneidermann’s work springs from the counterpoint of the bright neon lights, gaudy costumes and brazen commerciality of the cult of Elvis in Memphis with the post- industrial banality of its transatlantic iteration in Wales. This is the American Dream meets Brexit Britain, wherein the dream-imbued spatial iconography of stage, screen, commerce and street (most evident, of course, at Graceland) is co-opted by ordinary people living in a very different time – and place – to that which gave rise to Elvis in the 1950s. Inevitably, melancholy occasionally appears amidst the beauty of these photographs. The visual echoes of Schneidermann’s work with that of William Eggleston (a Memphis dweller himself) are not mere surface. Both photographers articulate a fundamental human impulse to strive towards one’s dreams and to connect with each other through shared experiences. The first part of the title of this exhibition refers to a woman called Liz, who Schneidermann met in Newport, and who told the photographer: ‘I called [my daughter] Lisa-Marie, but she doesn’t know the meaning of it’. The Bonus Track refers to the images that document John-Paul and his time in Memphis. The relationship between mother and son is beautifully observed by Schneidermann: viewing these photographs offers a richness of reward comparable to the discovery of a bonus track on a record in the pre-digital age. This year Schneidermann has co-directed, with Sebastián Bruno, a video portrait of Johnny B. Goode. It will be shown for the first time in I Called Her Lisa Marie + Bonus Track, which will also be Schneidermann’s first solo exhibition in the UK. 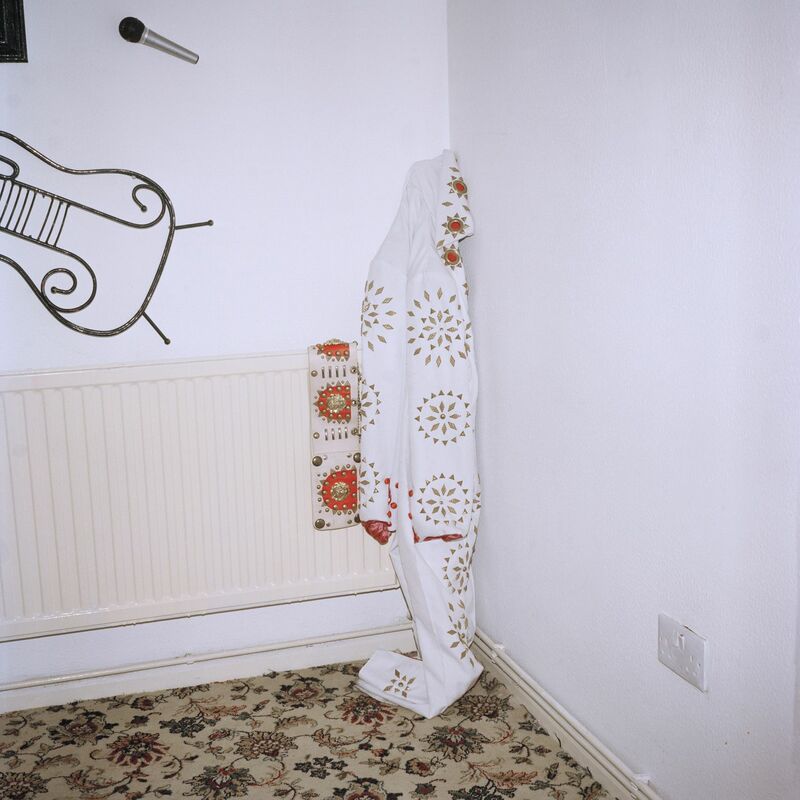 + Bonus Track is the second of three exhibitions they will present this year, each focusing on the work of a single British or British-based photographer. Exhibition design is a key component of each Sion and Moore exhibition. I Called Her Lisa Marie + Bonus Track is designed by Poppy Bartlett. Schneidermann is a French photographer based in Wales. She studied photography at the Applied Art School of Vevey, in Switzerland and completed with a Master in documentary photography at the University of Newport, Wales in 2014. Since 2012, she has been living and working in South Wales. Her work has been exhibited at Paris Photo, Unseen, Tom Christoffersen Galleri and published in the New York Times and M le Monde magazine, among others. 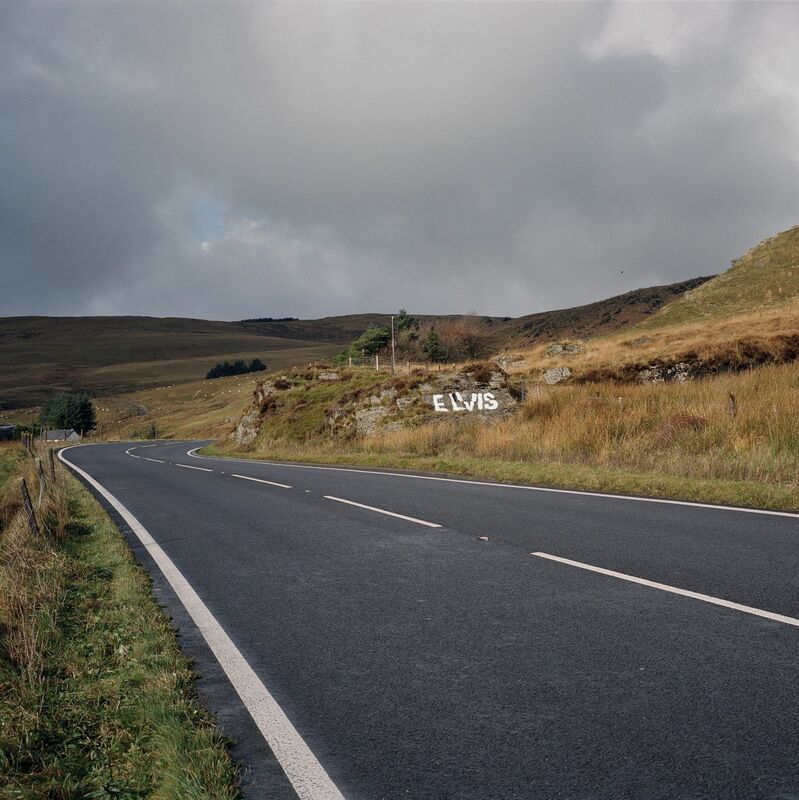 Schneidermann has been collaborating with Charlotte James and a group of children living in the South Wales Valleys since 2015. Work produced at the early stages of this collaboration, Heads of the Valleys, was awarded the Leica Oscar Barnack Newcomer Award in 2016. The work is now held in the permanent collection of the National Museum of Wales and the Martin Parr Foundation. Poppy Bartlett is a production designer who has designed sets for fashion campaigns & editorials with photographers David Sims, Alasdair McLellan, Tyrone Lebon, Jamie Hawkesworth and others. Poppy is based in London and works in her creative studio in Islington. Her experience in the fashion industry sees her collaborating with brands such as Louis Vuitton, Supreme, Miu Miu and Acne Studios. She also works on music videos, feature films and commercials.